Over the years, KTGY has been an active member of the community working with organizations in Oakland including HomeAid and Habitat For Humanity as well as helping with fundraising and donations like coats for students, toys, canned food, planting trees and more. “As architects, we feel grateful to those who mentored us when we were in school. 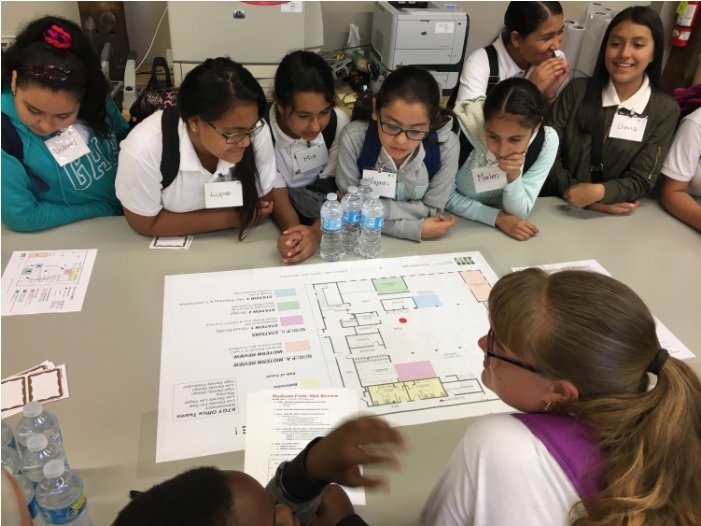 We wanted to help inspire the next generation of leaders, possibly architects, designers and planners, by adopting one of our local schools and actively participating in teaching them,” Williams said. 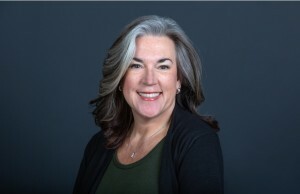 “I am passionate about education and it is one of our core values at KTGY.” Williams will be recognized later this month by the California Homebuilding Foundation (CHF) for her efforts in supporting the homebuilding industry and education. 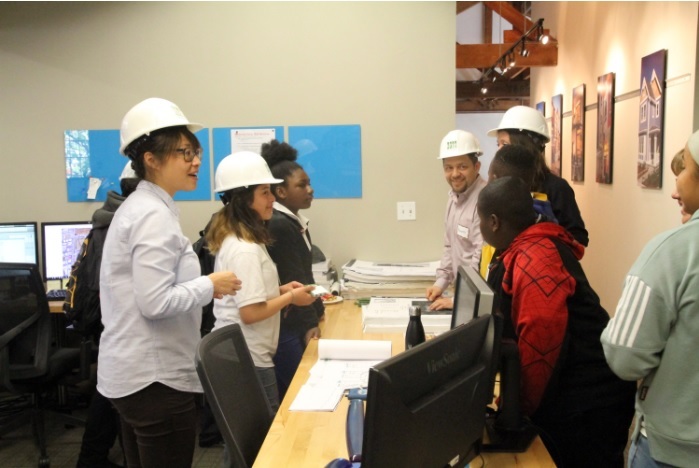 Earlier this month, KTGY hosted the students of the adopted 6th-grade class in the firm’s Oakland office. The office visit included four interactive stations: pin-up and review of each student’s poster progress; virtual reality; design (sketch-up, models and materials); and site planning and construction. The Oakland Public Education Fund leads the development and investment of community resources in Oakland public schools so that all students can learn, grow, and thrive. The Education Fund is the only organization raising money for all Oakland public schools. Since 2003, the Education Fund has raised more than $50 million for programs that help students thrive. The nonprofit organization puts the right tools in students’ hands to give all kids the excellent education they deserve. The organization supports all Oakland public schools—both District-run and charter—with a focus on those furthest from opportunity, because kids who come to school with less need more. See www.oaklandedfund.org. KTGY is an international full-service Architectural Design and Planning firm. With nearly 400 people in 7 offices, working in 28 states and 12 countries. IRVINE, CA - September 24, 2013 - (RealEstateRama) -- Award-winning national firm KTGY Group, Inc., Architecture + Planning is pleased to announce that KTGY has achieved top honors for its design excellence and innovation in sustainable multifamily residential communities, both market rate and affordable, situated in walkable, transit-oriented neighborhoods. In an awards ceremony held at the Multifamily Executive Conference earlier this month in Las Vegas, Nev., four KTGY-designed multifamily apartment communities received Multifamily Executive's Project of the Year awards: AVA H Street in Washington, DC; Arista Uptown Apartments in Broomfield, Colo.; Parkview Living Senior Apartments in Los Angeles, Calif.; and Heritage Oaks Senior Apartments in Oakdale, Calif.